Thrive Themes Discount Code 2019 - Coupon Code Reality! You might be wondering if there are any discounts available on Thrive Themes. Well, you might see some Thrive Themes coupons out there on the web but the bad news is, they’re fakes. When you checkout with Thrive Themes you’ll notice there isn’t even a coupon code box at the checkout. That’s because Thrive Themes don’t need to offer coupons – they already offer unbeatable value for money. How Can I Get Maximum Savings? Individual membership for $19 a month. This is suitable for individuals and for businesses of all sizes, even multinationals! Individual members can use Thrive Themes on their own websites with no restrictions. Agency membership for $49 a month. This is suitable for agencies and web designers who want to use Thrive Themes for their clients, too. 3 How Can You Get A High Converting Website On A Tight Budget? Access to all Thrive Themes both now and when new themes are added. This includes all updates and upgrades. Unlimited access to Thrive Theme’s professional and very helpful support team. There’s no paying extra to get the features you want – just pay one flat rate and get access to all the Thrive Themes functions you want, today. How Much Can You Save Using Thrive Themes Membership? The best way to save money on Thrive Themes is to visit thrive themes membership package and buy one of the Thrive Themes bundles mentioned above – you’ll save $700 over buying the items individually! First go to Thrive Themes and choose whether you’d like an individual or agency membership. Now click on ‘Add to Cart’. Check the ‘this is for a registered business’ if you’re a business owner. Enter your email and billing details. Choose whether to pay by PayPal or credit card. And you’re done! 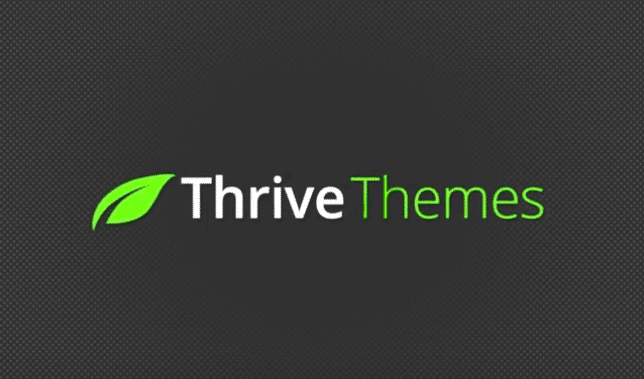 You now have access to all of Thrive Theme’s themes, plugins and features. If you’ve got any kind of business website, you’ve got one aim in mind – to give your visitors reasons to part with their cash! Your website is your online premises, and like any other business premises, it needs to be neat, welcoming, and easy to get around. But how can you get your website to do that? Well, there are lots of elements to it, but let’s look at one that really matters: The right website theme. The right website theme can make a big difference to conversions. A theme that’s hard to navigate or doesn’t display well on mobile devices can drive your visitors away. That means your competitors will get their money instead! Really good web design is expensive, which might leave a small business owner such as yourself feeling hopeless. But don’t despair. Thankfully, there is a way to get a gorgeous theme that helps drive conversions, even if you’re on a tight budget. How Can You Get A High Converting Website On A Tight Budget? Thrive Themes offers beautifully built WordPress optimized themes that were created with small business needs in mind. The creative folks at Thrive Themes say they couldn’t find the kind of good looking and highly functional conversion based themes they wanted – so they built their own! Thrive Themes gives you access to the kind of professionally built themes that would cost thousands of dollars if you had a designer make one for you – it’s an unbeatable investment. Thrive Themes offers so much more than just beautiful themes, though the themes alone would make it worth the price. They offer a whole suite of tools just designed to turn your website into a high-converting powerhouse that gets you the conversions, clicks, customers and sales you want. Thrive Themes don’t just look good (though make no mistake, they do look very good). They’re especially built with driving conversions in mind. Every Thrive Theme is build using the cleanest and most lightweight code possible, for a super fast user browsing experience and increased loading times on any device. Thrive Themes are designed with readability in mind. From colors to fonts to image placement, each theme comes packed with options that will take your website design to the next level. A highly readable theme means more visitors will stay and explore your website. Thrive Themes look good on any and all devices which means you won’t lose visitors to your competitors. Thrive Themes understand which elements help drive conversions. You can add conversion elements such as special offers or opt in forms anywhere on your site, positioning them where they’re most likely to have an impact on your customers. You can also add dynamic elements such as “click to call” buttons or easy to use contact forms so it’s easy for your visitors to take the action you want them to take. Optimized features cut down on the amount of plug ins you need too, for the ultimate fast and responsive theme that simply guides your visitor in the right direction, effortlessly. If you’re daunted by the beautiful business websites you see on the web – don’t be! With Thrive Themes you’ll be amazed at how quickly and easily you can build a professional looking website to rival the best of what you see online. A professional looking website is absolutely vital to your online success. If your site doesn’t look professional, you don’t look professional, and if you don’t look professional, your visitors won’t be inclined to buy. On the other hand, a professional looking website helps you establish trust and authority with your visitors and encourages them to buy from you. The Thrive Themes content builder was designed for maximum ease of use for even a beginner. You don’t need any coding or design experience at all to create stunning websites from scratch with the Thrive Themes content builder. Thrive Themes’ content builder is built on the simple but so useful premise of “click to edit”. That means you can click anywhere on your layout to instantly edit that feature. No more clicking around trying to find out how to edit each element. With the content builder, what you see is what you get. It offers a true preview of how your content will look when it’s published. Say goodbye to confusing content builders that trap you in a maze of boxes and borders with no clear idea of what the finished product will look like. With Thrive Themes you can see at a glance how your website will look. Do you need to build a landing page to capture leads? Thrive Themes also offers a landing page builder to create beautiful landing pages that work with any WordPress theme, and offer easy to use opt ins that make it easy for your visitors to sign up with you. You need a strong email list. Your email list is essentially a group of people who have said “yes, I want to buy from you!” – and those are the kind of people you want to stay in touch with. Facebook or Twitter are great, but you’re not in charge of those platforms. They could change their algorithm or disable your account and you’d be left with no access to your followers. But once you build a strong email list, no one can take that away from you, giving you ongoing access to people who really want to hear what your business has to say. But how do you build a strong email list? That’s where Thrive Leads comes in. Thrive Leads is a smart piece of software designed to help you build leads. Thrive Leads starts with an intuitive opt in builder that lets you build your own opt in form for capturing email addresses, and displaying it on your website. The builder comes packed with options so you can build the form that will appeal most to your visitors, and place it anywhere you like on your site. Thrive Leads doesn’t stop there, though. It offers advanced targeting so you can display highly targeted offers to your visitors based on posts, categories and more. If you show them offers that matter to them, they’re more likely to sign up. Once your visitors have signed up, you can use Thrive Leads A/B testing to test out how different elements of your forms are performing based on small changes and after all that? Their simple to follow stats will give you an overview of what is working, and what isn’t. The problem with most WordPress widgets is that once you’ve set them up, they’ll display the same way on every page and for every visitors. But that doesn’t work, because your visitors are unique and they each come to your site for their own reasons. No two visitors behave exactly the same when it comes to how they browse, where they click or what they do on your site. Most widgets don’t take account of that but simply show the same widgets to every visitor. That means a lot of the content they see isn’t relevant, and so simply gets ignored. Clever Widgets makes a simple change that means big conversions for your website. Clever Widgets takes note of which posts, pages and categories your visitors are looking at, and then shows them content based on their activity. You can set the rules and the content however you like, and let Clever Widgets do the rest. The result? Content that feels tailor made for your visitors and encourages them to buy! If you have a blog on your business site, getting your headlines right is an absolute must. Your headline is your chance to grab a visitor’s attention. In fact, it’s your only chance. If the headline doesn’t appeal to them, they’re not going to read the rest of the post, and you’ve lost a chance to connect. Thankfully Thrive Themes is here to help with their Headline Optimizer. When you write a new post, simply add a few alternative headlines and the Headline Optimizer will do the rest. The Headline Optimizer keeps track of headline click through rates, the amount of time visitors spend looking at each piece of content, and the amount of scrolling they do, to determine which headlines are working best for your website. With Headline Optimizer’s easy to read statistics and reports, you can see at a glance which headlines are working the hardest for you. You can compare headlines, test them against each other, and try out different headlines to find out which ones are getting the most attention from your customers. Headline Optimizer is easy to use even if you’re a beginner, so you can set up and test your headlines quickly and easily. It’s so simple but the results you get can be game changer for your business. Headline Optimizer even works with WooCommerce, so if you’ve got products for sale you can test out which product names get the most purchases! Scarcity marketing is a powerful tactic that can get you more sales and more conversions than ever before. Scarcity marketing works on one simple principal: People fear missing out. If your visitors are scared of missing out on your latest and greatest offer, they’re more likely to take decisive action and click the “buy” button. Thrive Ultimatum was created to make scarcity marketing a piece of cake. You can easily create fixed date campaigns or time limited offers to let your visitors know that the amazing offers on your website won’t be around forever! This gives them a powerful push to buy and can give a massive boost to your sales. Thrive Ultimatum makes it easy to stop, start and manage your scarcity campaigns on any schedule you like. If that wasn’t impressive enough, Thrive Ultimatum lets you create scarcity campaigns that are designed to appeal to each individual visitor. Their Evergreen feature lets you run a highly optimized scarcity campaign for each individual visitor. They’ll experience the campaign as having a fixed end date, which will spur them to buy. The Evergreen feature locks on to each user and keeps the offer the same even if they switch browsers or devices. That means you can control how long the offer is for each visitor. Testimonials are a powerful tool for your website. Genuine testimonials let your visitors see for themselves how you have helped other people just like them. Testimonials establish you as both trustworthy and genuinely helpful, and make it easier for your visitors to see what you can do for them. But gathering testimonials can be a real pain. You have to find comments or emails praising your business, and then you might not find good testimonial material. Plus you have to contact everyone individually, which takes up time you could better spend growing your business. Thrive Ovation makes it easy to gather testimonials. If you have comments or social testimonials you’d already like to use, Thrive Ovation’s clipper makes it easy to grab not only the testimonial but all the relevant user information to go with it. If you need to ask for testimonials, Thrive Ovation makes that easy too. Automatic testimonial landing pages display when and where you want them too, encouraging your customers to write testimonials that will get you even more customers! If you want a website that really drives conversions, you need Thrive Themes. More than just a collection of beautiful conversion-focused themes, Thrive Themes offers a full suite of easy to use, powerful tools that will boost your website conversions and sales and bring you the success you want.